What’s happening, craft beer lovers of RVA?! Welcome to this week’s RVA On Tap, RVA Magazine’s weekly craft beer column for all your craft beer-related events, releases, festivals, and all the brews your hearts desire. I’m Caley, and I’m your new go-to for booze news at RVA Magazine (and local beer enthusiast). You can usually find me on a porch with a 12-pack of PBR, but as our latest RVA On Tap columnist, I’m here to be your Resident Beer Fairy — so drop me a line anytime. Cheers! If you missed last week’s RVA On Tap, you can check that out here. Our kegs are overflowing with news this week, from beer releases to festivals, events, and other cool happenings around town. Hold on to your mugs, y’all. Last week, we checked out the best new fall brews, including Intermission Beer Company’s All Hallows Ale, Isley’s Marshmallow Brown Ale, Midnight Brewery’s Mitternacht Oktoberfest, and Vasen’s Festbier dropping around Virginia. RVA’s keeping it spooky this week with more seasonal releases, and plenty of pumpkin for all our #PSL fanatics out there. We see you, and we aren’t judging (too much, at least). PHOTO: Great American Beer Festival in Denver, CO.
A big congratulations is in order to several Virginia breweries for their medal-winning beers in the Great American Beer Festival, which went down over the weekend in Denver, CO.
Statewide winners include Richmond’s Hardywood and Ardent, Rocket Frog Brewing Co. from Reston, Gordon Biersch in McLean, Lost Rhino in Ashburn, the Sweetwater Tavern in Centreville, and Big Ugly Brewing Co. in Chesapeake. All of these stellar brewers won awards from around the state, putting the Commonwealth on the map once again for its alcohol enthusiasts, which may or may not be a good thing. We’re pretty stoked to keep up that reputation either way. Not without a bit of favoritism, El Duderino from Center of the Universe is first on our list for new drafts out this week. Your author is biased from a lifetime of drinking mudslides, so this stout wraps up all of our (my) Western dreams in one creamy, mellow brew. Eight different malts and whole vanilla beans come out midnight black, with a tan, pillowy head to top off this chocolate espresso beer. It’s a White Russian disguised with a beer label, and we’re gonna be on this one well into the winter. Come out to try it at the Ashland brewery this Sunday the 29th and check out their 13 beers on tap. PHOTO: Hardywood Park Craft Brewery. This week around town, more seasonal draft releases start with Hardywood’s Rum Barrel Pumpkin. The flavors in this one are begging to be enjoyed around a fire pit, so grab a few friends and some firewood for us to try it out. The nostalgic autumn brew is full of fall spices with soul-warming blackstrap molasses. According to the brewers, it’s aged over several months in Caribbean spiced rum barrels with brown sugar and spiced rum notes. The 10.5% beer will be kicked off on Saturday, October 6th at Hardywood’s Richmond location, featuring free live music from Deau Eyes, The Head, and Landon Elliott. Up next is Lickinghole Creek Craft Brewery’s fifth birthday celebration this Saturday at 12PM. The countryside brewery in Goochland is celebrating five years at The Farm, with their fall harvest of sunflowers blooming and live music all day. They’ll be releasing their Communist-dictator referencing Supreme Leader and Eternal President beers in a family-friendly anniversary fest. Come out to see Bill Roberts and The Oak Crest Boys accompanied by the Woodheads Grill and Firesides food trucks for a full-on farm fest, in true Virginian fashion. The land is also home to a gorgeous array of sunflowers, and occasionally hosts All-You-Can-Pick Sunflower Weekends — so if you missed the recent festivals around the state, this is a great chance to see the yellow giants. Fingers crossed for some chilly nights to try this coffee and chocolate Nightlands Imperial Stout from Triple Crossing. It looks like the cold weather is still holding off (boo) but we can’t wait to sweater up and sit outside with this one. It’s brewed with Colombian Coffee from Ironclad Coffee Roasters with a dark cocoa taste — and unlimited crowlers. Hallelujah! We’re gonna need it. PHOTO: Final Gravity Brewing Co.
Coming up on Friday is a new Lodestar Double IPA from Final Gravity Brewing Co. The spacey draft brewed from Galaxy and Mosaic hops will have mostly fruity tastes like peach, citrus, and lemon. Join them at their spot on Lakeside Avenue this weekend at 11AM to give it a try and hang on to the summer a while longer. Final Gravity is also part of this fall’s 3rd Annual Urban Farm Tour + Party, put on by Real Local RVA. The tour features four urban farms around the city, introducing our residents to the urban agriculture farmers right here in our own neighborhoods. It starts at the Lakeside Farmer’s Market on Saturday at noon, and showcases the missions our local farmers have behind growing their food. Grab your tickets on the event page here, and hold your excuses for ticket prices, because they’re 25 percent off with the code RVA25. See ya there! In case you can’t fit all your booze events into one week (unlike me), head over to Strangeways any day between now and Halloween to celebrate Oktoberfest. Technically, Oktoberfest runs up on the 6th, but this brewery is keeping it going ‘til November comes with giant keepsake steins and cheap beer. They’re running deals on craft brews all month, and we’ll keep you posted on more news to come like in-house features and specials from your favorite food trucks. That’s it for this week’s RVA On Tap! As your new weekly columnist, I’m here to take all your beer releases, event info, ideas and questions. If you’re a brewer, send me your release info at [email protected], and if you’re a beer enthusiast, shoot over a message anytime to talk booze. Catch y’all next week! What’s happening craft beer lovers of RVA?! Welcome to this week’s “Tapped,” RVA Magazine’s go to weekly craft beer column where you can find all your craft beer-related events, releases, festivals and all the booze news your little hearts’ desire. If you missed last week’s beer news, you can check those out here. Our cup is overflowing with news this week from releases to events, and other cool happenings around town, so hold on to your mugs because we’re getting ready to tap this thing! So last week we told you about The Answer Brewpub celebrating its four-year anniversary. The West Broad Street brewery, founded by Mekong owner An Bui, kicked off events this Monday, and will have festivities for every day of the week and no tickets are required, just your beautiful faces! They have a ton of releases and special edition glasses for sale. Check the link for details and make sure you stop in and celebrate with them for giving us four years of delicious brews. We also told you about Final Gravity Brewing Co. third anniversary. Due to the hurricane, festivities were rescheduled for this Saturday so don’t fret if you couldn’t make it out! The Lakeside brewery and they will be taking over the large parking lot out back and bringing in food from Pizza Nostra RVA, Charm City Crab Cakes, & Gaucho, a plethora of amazing guest taps from local and regional breweries, special Final Gravity Anniversary brews, tunes by DJs PJ Sykes and Melissa Koch, live music by East of Afton, and special anniversary merchandise. 12-6 PM. Hardywood has its Autocorrect and Mango VIPA releases for you this Friday at both locations. AUTOCORRECT is a hazy IPA brewed with Citra, Mosaic and Mandarina Bavaria, then dry hopped with El Dorado. The brewery has also added mango to their VIPA flagship brew for an extra punch of fruity flavor! Draft and growlers. And On Sunday, make sure you stop by Maymont for a beer dinner featuring several top Richmond chefs which will be serving up five courses paired with five Hardywood brews. $175 per person (all inclusive, includes gratuity). Snag your tickets here. Isley returns this Friday with its weekly infusion. This time, it’s a toasted marshmallow brown ale to get you all geared up for fall. They first tried out this brew two years ago, and now they’re bringing it back so, make sure you get some if you didn’t have the chance to the first go around. Food from La Bete. Midnight Brewery will release its Mitternacht Oktoberfest this Saturday, a Bavarian-style Amber Lager that gets you right in the spirit of Oktoberfest festivities. Prost! Triple Crossing’s got a triple release for you so hope you’re thirsty! This Friday, at their Fulton spot they will have their Falcon Heavy, an 8% DIPA with notes of peach, mango, and papaya and Citra, Falconers Flight and Vic Secret hops. The brewery will also have Infinite Reflections, a 10% Imperial Stout. This brew gets conditioned on judicious amounts of vanilla, cacao nibs, and cinnamon. Vanilla, bakers chocolate, and smoky cinnamon sweetness round out this beautiful brew. Finally, we have their Mosaic Triangles IPA, a bright and citrusy brew with notes of fresh clementines and tangerines. Vasen is getting into the Oktoberfest spirit this Friday, with some live polka music, the release of their Festbier, and German fare from Bon Are Provisions who will be serving up brats, kielbasa, and freshly made sauerkraut all evening. Prost! Castleburg’s back this Friday with None Shall Pass, an Oatmeal Porter with notes of chocolate and coffee that will knock you right in all your Fall feels. On Monday, Garden Grove Brewery & Urban Winery will host a beer dinner with Chef Craig Perkinson of Southbound. Five courses will be matched with five of GG’s brews. $39/per person. Grab your tickets here. This Saturday, Buskey Cider will release its Thai Chili Ginger Plum cider for those looking to venture outside beer for something with a little kick. This Friday, Ardent Craft Ales will release its brew, “Old Molasses Ale,” a collaboration with the John Marshall House. They brewed this special historical beer to celebrate John Marshall’s birthday. This beer was based on a recipe from John Marshall’s cousin, Mary Randolph, that she brewed in the late 1700s and featured a late addition of molasses in the boil. Three Notch’d RVA Collab House returns this Friday with its Double Dark Chocolate Biggie Smores Imperial Stout with live music from QNA. Fine Creek will celebrate Oktoberfest this Thursday, Sept. 20- 30. The Powhatan brewery will have quite a spread from their kitchen including Weinerschnitzel Sliders; Pretzels with Beer Cheese; Brats and Sauerkraut w. Whole Grain Mustard on a pretzel Bun; Flammkuchen Pizza w. Sour cream, Onions, Potatoes, and Bacon; Black Forest Cake w. Kirschwasser soaked Dark Cherries, Chocolate Cake, and Whipped Cream. Fine Creek will also be releasing their Oktoberfest Marzen Lager, Ruachtoberfest Smoked Marzen, Dunkelweisenbock, Helles Lager, and Bavarian Hefeweizen. Get your steins ready and get out your lederhosen! This weekend, St. Benedict kicks off its 14th Annual Oktoberfest celebration. Free admission, over 50 beers on tap, tons of delicious German eats, polka, dancing, and a stein-holding competition. Prost! Submissions or ideas for Tapped can be emailed to Amy at [email protected] Cheers! This Friday, Hardywood will release its But Does It Make Sense, a New England-style DIPA, with mosaic lupulin powder and Galaxy hops. Saladworks will be serving up good eats! On Monday, through next week, The Answer Brewpub is celebrating its four-year anniversary. The West Broad Street brewery, founded by Mekong owner An Bui, will have events for every day of the week and no tickets are required, just your beautiful faces! Be on the lookout for updates! Final Gravity Brewing Co. will also celebrate an anniversary. This Saturday marks three years for the Lakeside brewery and they will be taking over the large parking lot out back and bringing in Go Go Vegan Go, Intergalactic Tacos, & Pizza Nostra RVA, to feed your hungry faces, and offer a number of amazing guest taps from local and regional breweries, along with special Final Gravity Anniversary brews, tunes by DJs PJ Sykes and Melissa Koch, live music by East of Afton, and special anniversary merchandise. Featured guest breweries: The Answer Brewpub, Ardent Craft Ales, The Veil Brewing Co., Red Dragon Brewery, Precarious Beer Project, Aslin Beer Company, Equilibrium Brewery, American Solera, Triple Crossing Beer, and Benchtop Brewing Company. 12-6 PM. On Thursday, Ardent Craft Ales will release its Sweet Potato & Sage Saison to get you in all your Fall feels. The brew is a dry, farmhouse-style saison. Earthy notes from the sweet potatoes are balanced by the fragrant aroma of fresh, local sage. On Thursday, Three Notch’d RVA Collab House returns with its weekly collaboration. This time, it’s “Here To Serve,” an American Brown Ale made in partnership with Ford Stephens and Leadership Metro Richmond. Ford Stephens won a charity auction to help brew a beer at the Collab House. Through Ford, Leadership Metro Richmond joined in the collaboration. LMR brings together a diverse group of people and creates leaders to serve the Richmond community. Pint Specials from 4-7pm. And on Saturday, Three Notch’d RVA will release its “As You Are” Pineapple and Mango Gose in honor of the Scott’s Addition Pride Crawl. The theme for the bar crawl was cocktails, and the brewery set out to make a beer as close to a cocktail as possible. A ton of organic pineapple and mango fruit purée was added to this beer. While Florence may bring her wrath this weekend, let this brew take you away to a tropical paradise. This Thursday at Triple Crossing‘s Fulton spot they will have a special early release of The Proposition, an 8% DIPA, appropriately hopped with Galaxy and Nelson. Notes of super soft chardonnay grape, touches of bright dankness with tropical fruits providing the majority of the presentation on this one to keep you calm during the storm. Lickinghole Creek will release its Nuclear Nugget brew, an Imperial Honey IPA this Friday. The Goochland brewery will have it in 16oz cans in 4packs so venture out there and grab enough to hold you over during Florence. Today, Kindred Spirit Brewing in Goochland will release its Spacehead in cans. This rich and juicy IPA will be available on draft too, so either get it to go or kick your shoes off and stay for a drink or three…well maybe don’t take your shoes off. No one wants to see that. Fine Creek is hosting another Bluegrass Jam this Thursday, as well as a Teacher Appreciation Night! Bring in your teacher’s badge and get 15% off your tab. Fine Creek will have live music this Saturday. Next weekend is the beginning of Fine Creek’s Oktoberfest, where they will be offering fiver German beers and 1 Liter Steins! On Saturday, the Scott’s Addition Pride Crawl will brave the hurricane to kickoff Pridefest. OutRVA and VA Pride have partnered with the neighborhood breweries, cideries, distilleries, and meaderies, to offer up a day of beer and fun festivities. With your Pride Passport, you can get it punched after purchasing beers at any of the participating locations, and after five punches, drop your passport off at the Richmond Triangle Players at the Robert B. Moss Theatre for a chance to win a gift certificate from your favorite spot. Check the link above to download your passport and check out the participating breweries and other spots. Check out the fresh delicious batch of brews The Veil released for their can drop on Tuesday. they need no further details so just feast your eyes and go stop by there and snag what’s left! 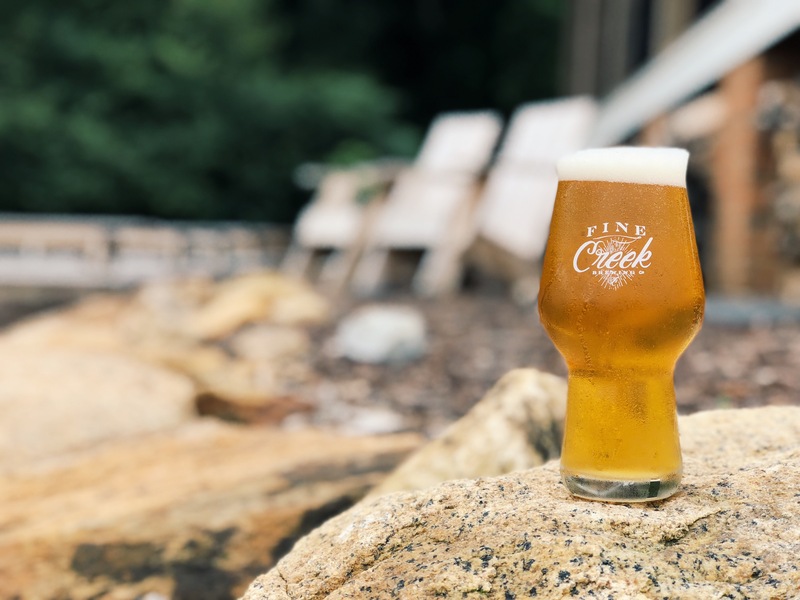 Courthouse Creek Cider will host Slurp & Sip, an oyster and cider flight event featuring oysters from Rappahannock River Company this Thursday. This Friday, Isley returns with its weekly infusion, an Oreo Oatmeal porter. Hits the taps at 4 pm. Available In-House & To-Go. Get some! And on Saturday, the Mos Eisley Brown Ale returns to Isley. A traditional brown ale, the brew is inspired by the barren expanses of Tatooine. Brewed with a careful blend of roasted and caramel malts, it seeks to quench the thirsts of those who live in the shadows. Get out there and have some brews and food from Shakedown eats. The mighty Heir Apparent returns to Lickinghole Creek this Friday. The brew is an 11.5% Mexican-Spiced Imperial Stout with the heat of fresh Mexican peppers, Vanilla, Cinnamon and Cocoa Nibs which got the Goochland brewery a gold medal at the Virginia Beer Cup. LCCB’s Carrot Cake Imperial Amber Ale also returns to the brew this Friday. Carrot Cake isn’t my favorite dessert, but put cake with beer and you have won my heart. They just turned one and had a huge shindig last weekend along with a new beer release. But if you missed Intermission Beer Company’s festivities you still have a chance to try to their new Honey Hibiscus Saison. Hardywood will release its Benny & The Fest this Friday in cans. This crisp 5.8% brew is Hardywood’s take on a traditional Marzen lager and perfect to get you geared up for fall. Available on drafts and in 16oz four packs to go in the RVA and Goochland spots. On Saturday, Hardywood will host its 6th Annual Richmond Bluegrass Festival at their downtown location. The all-day celebration will bring you the best Bluegrass music with mobile gourmet food vendors and unique beers on draft. The Hot Seats, River City Band, Big Boss Combo, Georgia Crackers, The High and Wides, and The New Smokey Valley Boy will be providing the tunes for the day, and Smokie JOE’S BBQ, Arroz RVA ,Hollywood Cheesesteaks, and Slideways Mobile Bistro are just some of the food trucks that will be on site. Free. 1-10 pm. Isley Brewing returns with its weekly infusion this Friday. This go around, it’s a Strawberry Shortcake Belgian White Ale to satisfy that sweet tooth. This Tuesday, The Veil dropped their NeverNeverWeakWeak, a double-fruited Gose with with strawberry, pineapple, and açaí made in collaboration with Richmond’s North End Juice Co.. This fruity brew looks like it packs a punch and could cure anything from back to work blues, or a weekend hangover. Go get some! Ardent Craft Ales is getting into the Oktoberfest spirit and dropping their Festbier this Thursday. this traditional German lager is served in half-liter mugs. The German Snack Shack will be set up in the beer garden so you can really celebrate. This Saturday, Buskey Cider will release its Earl Grey Lemon Ginger cider. rafted with loose leaf earl grey tea, fresh lemons, and ginger, this cider is the perfect drink to kick off the end of summer and up your tailgating game before fall rolls in. The Foggy Notion DIPA returns to Final Gravity Brewing Co. this Friday. Citra, Amarillo, and El Dorado hops make up this bad brew so make sure you get in there and grab some before its gone! On Saturday, Trapezium Brewing Company will release “The Culprit,” a Belgian Golden Strong Ale. This 8.8% brew is hitting you with notes of pears and apples. Courthouse Creek Cider will host its September Happy Hour tomorrow from 5:30 to 7:30 pm. Go grab some cider and snacks, and hang with the people from HYPE RVA. Fine Creek will release their Twitchasaurus Rex Brett IPA this weekend! This beer was fermented with Brett and dry Hopped with Citra, Mosaic, and Idaho 7 creating a smooth IPA with aromas of fresh peaches and ripe melon paired with flavors of pineapple and blackberry sorbet. Yum! Fine Creek’s ‘Daffodil Daydream’ White IPA will be back on draught as well this weekend. Willie DE is playing in the taproom Saturday! Yoga on the lawn Sunday at noon! Prost! The biggest event this weekend is going down at Intermission Beer Company. The Glen Allen-based brewery is celebrating their one-year anniversary this Friday and Saturday with food trucks, music, prizes, and of course, beer. On Friday, they’ll have Firesides Food truck, music from The Robert Elwood Revival, and a Honey Hibiscus Saison. On Saturday, Thandie Catering LLC will be serving food, Intermission will release Virginia Center Common, and The Spirit Light Band will be providing the tunes. James River Winery will be on site selling wine and there will be special guest taps from Potter’s Farmhouse Dry Cider and Big Ugly Brewery. If that’s not enough to entice you, the brewery will have kick the keg prizes, raffles, and an announcement about their new membership club! A lot going down at Hardywood this weekend. On Friday, the brewery will have its Tropic Like Its Hot Sour Ale, a collab brew with Ardent Craft Ales and Center of the Universe made with Butterfly Pea Flowers, Passionfruit, & Pineapple. Get this tart, tropical beer at their Richmond and Goochland locations. Pumpkin lovers rejoice. Hardywood will release its Farmhouse Pumpkin this Saturday at their Richmond and Westcreek spot. Brewed in the style of the farmhouse ales of Belgium’s southern countryside, Hardywood Farmhouse Pumpkin utilizes a blend of rye, wheat, and barley. Ripe, flame-roasted Virginia sugar pumpkins and brown sugar provide this beer with a hearty backbone and cinnamon, nutmeg, clove and allspice along with fresh ginger root round out this tasty brew. Get ready for a taste of fall. Also on Saturday, the brewery is throwing down with its Tuckahoe Creek Americana Festival at their Goochland location. National, regional, and local music acts will perform on indoor and outdoor stages. The festival will also have local craft makers, bonfires, yard games, and food trucks. On the bill are newly-formed Americana band Holy Roller, Dharma Bombs, Hackensaw Boys, The Tillers, Dogwood Tales, The Judy Chops, VILLAGES, Alexa Rose, Mackenzie Roark, and Eliza Jane. Food trucks on site: Mean Bird, The Return of the Mac, Dank Eats, Grandpa Eddie’s Alabama Ribs & BBQ, Sara Lou’s New Orleans Style SnoBalls. General Admission tickets are $20 and VIP Guest will cost you $50, but includes access to an indoor private serving area, complimentary catered food throughout the day, and a Tuckahoe Creek Americana Music Festival commemorative glass, koozie, and poster. Snag yours here. Starting on Friday, Strangeways Brewing will host its Long Weekend Beer Release Party. To quench your thirst, the brewery will release Smashburg Pacifica, a SMASH IPA, along with Radagast Cedar, a Fermented IPA made with Citra and Amarillo hops and aged on the planks of cedar trees, giving it the smells of sweet bark. Strangeways will also release its FEST Bavarian Lager. Lots of good choices for your Labor Day weekend festivities. 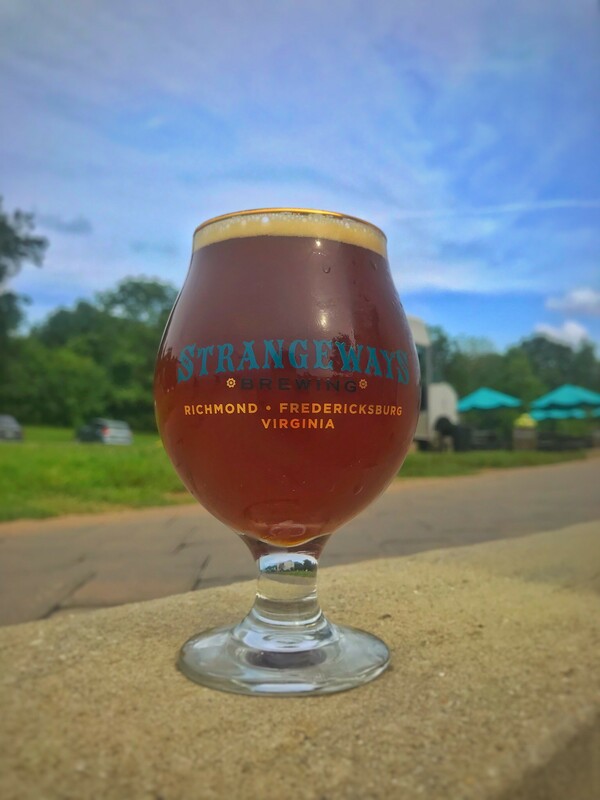 On Saturday, Petersburg’s Trapezium Brewery will release its Salted Caramel Brown Ale. Smooth, slightly sweet, roasty, and perfect to get you prepped for fall even though its a billion degrees out. Triple Crossing is hitting you with a triple beer release this weekend at its Fulton spot. First up, the Double Dry-hopped Clever Girl IPA. Available in four-packs, the brew packs a punk with Mosaic and Citra taking a front seat on this one with pungent notes of citrus rind, orange, and mango. Next up is Citra Triangles, a 6% All Citra IPA. Soft, dank, yet tropical notes of guava, pungent peaches, oranges, and nectarines will tantalize your tastebuds. finally, the brewery will have Far Fields, 5% Warehouse Ale. This beer, born in a warehouse dating back to the 1960’s Fulton Hill neighborhood. This familiar Wallonian style will be a crisp and refreshing brew to beat this heatg. Isley Brewing returns this Friday with its weekly infusion. This go around, they’re serving up a Mango Gose. HH kicks off at 4 pm. This weekend, Fine Creek will have 2 new coffee beers on draught, their Gürly Mann Coffee Cream Ale, brewed with Shenandoah Joe’s Gürly Mann espresso; and their Cold Brew Coffee Stout, brewed with Blanchard’s Dark as Dark roast coffee. The Powhatan brewery will also have their Macho Mug Super Session IPA and their Brut DIPA on draught. This Saturday, they will be tapping a cask of Strawberry Basil Hefeweizen and offering a STEAL THE GLASS with pours. The cask has their Bavarian Style Hefeweizen with added Strawberries and Opal and Genovese Basil from their gardens. Lots to choose from so get on it! Vasen Brewing continues to celebrate their Gose Month will their Otter Series, a variety of four different goses including traditional German Gose The Otter and three variants, The Tangerine Otter, The Cranbiscus Otter, and The Añejo Otter. Vasen will also release its Barrel-Aged Grapefruit Tripel, an abbey-style ale tonight. Citrusy and tart, perfect for these hot last few days of summer. On Friday, Magnificant 7 DIPA returns to Final Gravity Brewing Co. Catch the taste of apricot, red grapefruit, and papaya with notes of resiny pine and black tea in this 8% brew. For the final day of VA Craft Beer Month, Garden Grove Brewery & Urban Winery will release its collab brew with Lewis Ginter on Friday. This Belgian Gold features fresh herbs lemon verbena and pineapple sage from both their gardens. The folks from Lewis Ginter will have a table set up in the taproom and will be around to chat with folks. In addition to the release, we will be featuring some Authentic Brazilian music from RVA locals, Quatro na Bossa. $1 per pour benefits Lewis Ginter’s Ginter Urban Gardeners Grow Truck. On Friday, Castleburg Brewery will release its All the King’s Horses IPA. This oat IPA is bursting with citrus, tropical fruit, and melon flavors. Get in the saddle and grab one of these brews! This Friday, Buskey Cider will release its Maple-Spiced Cider in cans. Crafted with maple wood spirals, real vanilla beans, cinnamon, and maple syrup, this premium fall cider will get you in gear for the harvest and apple season. This Saturday, The Veil Brewing Co. will kick off its Forever Summer Fest, an annual charity festival which will take place outside at The VA War Memorial overlooking the James River and Richmond city. This year, the brewery is focusing on funky, wild and sour beer, offering 3oz pours from some of the best breweries in the country/world. 100% of the proceeds will be going to our friends at ChildSavers. You can check out some of the featured breweries (over 20) in the link above. -Session A: 11am-2pm, -Session B: 2:30-5:30pm, -Session C: 6-9pm. 200 tickets sold for each session. Tickets will be $100+tax/fees each. Tickets include a Forever Summer Festival glass and guaranteed 3oz pours from each brewery present. Now that’s a serious throwdown! So BIG news over at Strangeways Brewing. The Dabney Road brewery will release the first ever beer made in Virginia with CBD on Saturday. Their “C.H.U.D. CBD Imperial Red Ale,” is made with a monstrous amount of Mosaic, Sorachi Ace, Simcoe, Mandarina Bavaria, Citra, and Amarillo hops. Along with the beer release, the brewery will host a “Hops, Hemps, & Hounds” event Best Bully Sticks will have a new line of dog treats, Happy Hempies Healthy Body treats, that they are launching that day. Shenandoah Shepherd Rescue, The Woofy Wellness Ranch and Goatocado are all joining the party. Come out learn more about the benefits of hemp infused treats to support your dogs’ wellness. Oh yeah, and to get some CBD-infused brews. Cans of the tropical paradise IPA Pineapple Great Return along with Mamaw’s Mean Cobbler will be back in the taproom at Hardywood will be back this Friday. This weekend, Fine Creek will bring back their Gürly Mann Coffee Cream Ale, which is brewed with Shenandoah Joe’s Gurly Mann Espresso. They also have a little of the Blueberry Grisette and Thai Tea Milk Stout left so make sure you stop by and snag some of that if you haven’t already. Thursday Fine Creek will be hosting another Bluegrass Jam with some locals, and holding a benefit Night for Shalom Farms, a regional food access and community development project located right up the road from them. Friday Addison Liming will be playing in the taproom. Saturday Rob Oliver will be playing in the taproom. Mesa, Triple Crossing’s Hoppy Table Beer will also be making its appearance at the Fulton spot. This bright and citrus forward blonde ale is hitting you with notes of pithy orange rind and citrus, perfect for these muggy hot days. They also just released a Raspberry Sour Saison to their lineup. Get in there and try this crisp, clean refreshing brew while you’re sipping one of their sours. It’s Flagship Flight Week over at Legend Brewing Company. A special flight highlighting the brewery’s famous Brown Ale and Brown Ale variations- Imperial Brown Ale, Brown Ale aged in Bourbon Barrels, and our Toasted Coconut Brown Ale will also be available for tastings. Pairs well with our bratwurst, beer cheese, and house-made spicy brown mustard all prepared using our Brown Ale in the recipe! Mouth watering already! This Saturday, Kindred Spirit Brewery will celebrate their 2nd Anniversary with a special beer release, food trucks, and live music. The Goochland brewery will have its special KSB Anniversary Ale, with performances by Bobby Baine and Andrew Alli & The Mainline. River City Wood Fired Pizza and Smok-N-Pigz will serve up delicious eats. Three Notch’d RVA Collab House returns this Thursday with its weekly collaboration. This go around, the brewery has churned out “Minor Accomplishment, a DIPA with Citra hops made by Head Brewer Willey Broaddus. Specials from 4-7pm. Center of the Universe will host its 2nd Annual Circle the Wagon BBQ Cookoff and Concert this Saturday. Benefiting Circles Ashland, the festival will feature 5 BBQ vendors, 2 awesome bands, along with a Pro BBQ Competition, and amateur BBQ sauce competition, 50/50 raffles, a silent auction, and other unique items to raise money for the charity. Vendors include Saucy’s BBQ, GPE BBQ Mobile Kitchen, Jake’s Place, The UFO Truck, and Freekin’ Rican – Puerto Rican Food Carts & Catering. Free. Final Gravity has Space Force, a DIPA which was Brandon Tolbert‘s first original Final Gravity brew on tap Friday. Armed with an abundance of Mosaic and Galaxy hops – this DIPA is ready to battle it out with a bouquet of floral notes and citrus undertones. Crowlers available. Today, Canon & Draw Brewing Company releases its second iteration of their Sole Accomplice Double IPA series, this time brewed with 100% Citra. For those who didn’t get the chance to try this at VA Craft Brewers Fest, now is your chance! Tapped Photo By: The Veil Brewing Co.